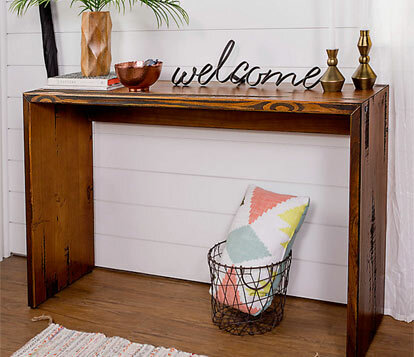 Foyer table – Having a small table near your front door can provide a place to catch keys, phones and mail. Top it with a tray or bowl to catch loose items. To personalize your space, add framed photos, cherished mementos, interesting sculpture or vase for seasonal flowers when the mood strikes you. You’ll find a variety of sizes and shapes if you look through console tables, sofa tables, accent tables or hall tables. Measure your wall space to determine what size table will fit. If your entryway is tight on space, consider width; very narrow accent tables are available that will fit almost any space. For a formal look in a large foyer, a round pedestal table can be centered below the chandelier on a large round rug. Rug – Often a round rug is looks great in the entry way, and should be centered right below the chandelier. If your entryway is long and narrow, consider an oval or rectangular rug. Rugs really warm up the feel of an entryway, and serve as a last place to wipe your feet upon entering the house. Since entryways get a lot of traffic, look for flat woven or low pile rugs. Not only will it hold up better to traffic, you’ll be sure that the entry door can swing freely over it. Since there are few furnishings in the entryway, a patterned rug will add interest. Be sure to coordinate the color scheme with any other rooms that are visible from the entryway. 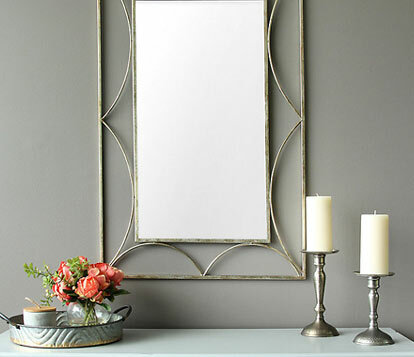 Mirror – A mirror will add sparkle, depth and light to your entryway. It is also the perfect place to check your appearance just before you leave the house for the day, or when come in from the cold. Look for a substantially sized mirror in an interesting frame. 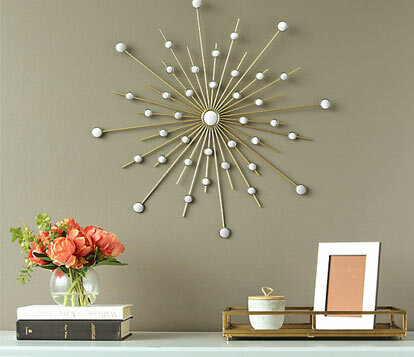 Wall décor – In addition to a mirror, make the most of your entryway wall space by displaying a collection of photos or art pieces that show off your personality. Lighting – The lighting in this transition space is both functional and welcoming. A foyer tends to be the perfect place for a chandelier. 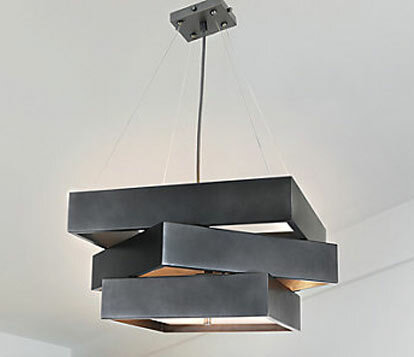 If you have a vaulted ceiling, look for a larger chandelier that can dramatically fill the space, for a standard height ceiling opt for a modestly sized chandelier. You don’t have to stop with the chandelier, on either side of a mirror or art work, sconces can add flair and lighting to an entryway. 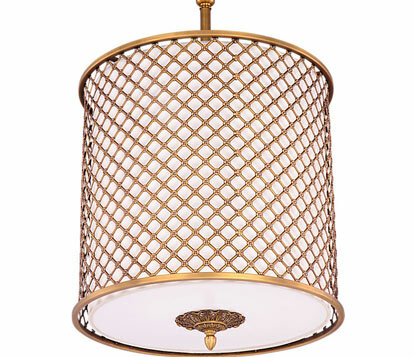 Or a table lamp can add a finishing touch to the foyer table. Baskets – Whether to catch umbrellas, shoes, newspapers or mail, baskets come in all shapes and sizes. Think about the items that routinely land in your entryway to find the best storage solutions. 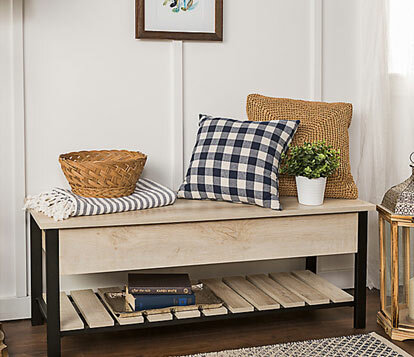 Place a tall narrow basket in the corner as an umbrella stand, a large rectangular basket under the console table to catch winter items, or small bin sized baskets lined up under a bench for smaller items. Bench – A bench can be handy as a place to sit and put on your shoes or rest bags on your way in or out of the house. 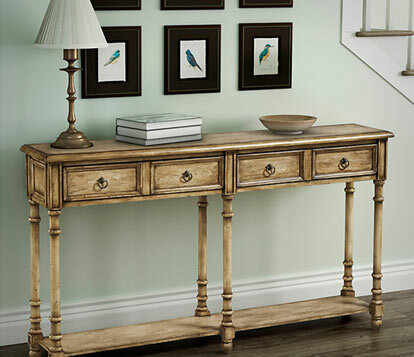 If you don’t have the room for a bench, consider pairing a console table with a side chair, whether an extra chair from your dining table set or a unique stand alone piece it will be both inviting and functional. Storage – For homes short on storage space, don’t overlook the entryway as a place to add an accent cabinet with doors and drawers. Busy families find it helpful to have a storage bench with bins for hats and gloves or backpacks. Combination bench/coat racks called hall trees offer hooks for coats and bags, seating, and bins or shelves for shoe storage. Bookcase – Larger or uniquely configured entryways afford room for something unexpected like a bookcase; use it to showcase books and knickknacks.